This is how intense Restaurant Wars could get on Top Chef, if Top Chef cast mentally unstable potential criminals. Here’s the scoop: two chefs who worked at Fontana Chinese in Manningtree were going about their day prepping rice and vegetables for the day’s service when a fight broke out over who would cut the chicken breast. Yes, a fight broke out over who would cut the chicken breast. A server probably could have cut the chicken breast. No one’s asking anyone to de-vein lobes of foie gras. The fight then escalated to quarreling about their bosses and Xian Chen, initiator of the brawl, allegedly threw a punch to the other unidentified chef. In the kerfuffle, the victim sustained a 5-centimeter long gash to the head from a knife, burns on his arms from an oven onto which the pair fell, and bruises from the punches. All over chicken. Dear wannabe chefs of America: if you don’t find a certain quality of zen in the mindless, repetitive, soothing act of preparing mise-en-place, it’s possible that being a chef is not for you. Because guess what’s not worth sustaining knife wounds to the head over? Diced chicken. PS. 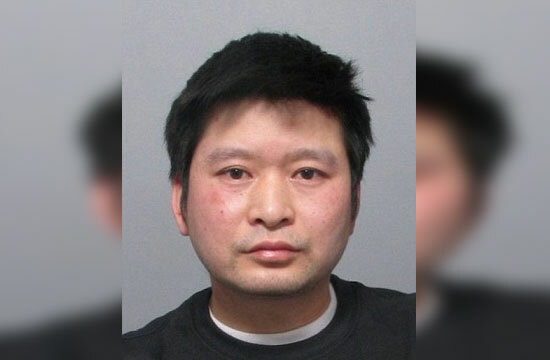 Chen plead guilty to fighting in public and was sentenced to 12 weeks in prison.